You may have expert in house staffs capable of developing applications for your business, but unable to scale efficiently with success. when your priority is quality coding within limited budget, then open source development is the best option to consider. Today, most digital business and innovation is happening by using the open source platform and there are some solid reasons that indicate the rise of open source technologies. Why Open Source Technologies Work Best for Business Organizations? The open source community is highly flexible, insightful and also helps the companies deliver the products all the time. Such development is community driven because it was primarily the developers of the community collaborating together to create extraordinary software as a collective. Open source development is advantageous for feature specific changes that don’t require ongoing maintenance. If the community finds that you have a solid application in your hand, leaving aside a few bugs, they will happily figure them out for you. With the increased acceptance of open source, technology oriented companies are working to develop enterprise tools and they often decide to make their codes open source not because they believe in freedom and innovation, but because open source offers them a competitive lever against proprietary software companies and also a great option of “Try before you Buy”. While developing a software, there may be some cases when the bugs that affect the user experience may slip through some cracks. If users report some bugs that may limit the productivity of the program, then you should not consider it to be negative, as many companies that are new to the open source development community might do. Are You Looking for Open Source Development? You can share the truth about your process and congratulate them on finding a bug in your application that you didn’t. This of course is a great, starting to develop a relationship with expert developers who can at least help to build an error free product for your company or client. What we have observed is that from large media companies to retailers, many businesses are getting more and more involved in open source because they see it as the competitive advantage. They want to accelerate their development projects by tapping the benefits of shared innovative model and also to attract the best technical experts by being a visible part of the future of the software. 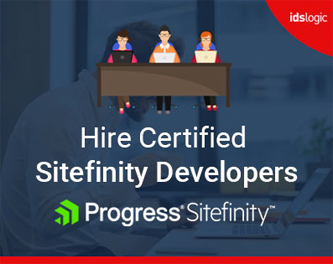 Thus to conclude, it can be said that the open source community is of course a pool of talented resources having knowledge that you should consider as a supplementary force helping your in-house staff with their projects. However, you should consider what you are giving up and how the company must change while doing business with open source.